Middle school student emerges from field of more than 45,000. 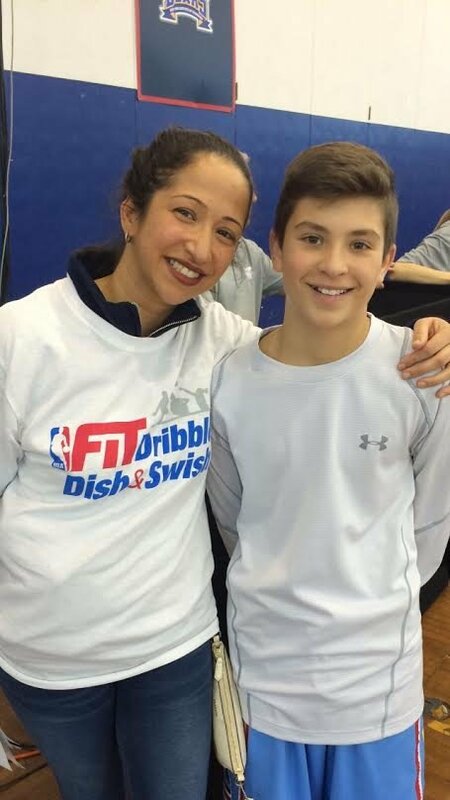 Huntington, NY - February 12, 2015 - A seventh grade student from Huntington will have the opportunity to show off his basketball skills on the big stage this weekend after finishing among the top players in the region in the NBA Fit, Dribble, Dish and Swish competition. Freddie Amato, a student at J. Taylor Finley Middle School in Huntington Station, emerged from a field of 45,000 competitors from New York, New Jersey and Connecticut to reach the finals which will be held as part of the NBA's All Star weekend at Madison Square Garden February 13 to 15. Amato's first step to the national stage was finishing in the top two in his age group at a local competition in Central Islip on January 9 and January 13 among 82 students. He then went on to at Queens College where there were more than 800 participants from 24 different organizations. Amato is one of two finalists who moved to the finals among the hundreds of competitors. The competition requires participants to begin at half court, dribble as quickly as possible and make a layup. The player must then retrieve the rebound and sink a foul shot. Finally, they must dribble back to half court, around through a three-cone course before dribbling to the basket again and make another lay-up. Suffolk County Police PAL Officer Ed Groce, Second Precinct Community Liaison Officer Claudia Delgado and Kevin Thorbourne, director of minority affairs at the Town of Huntington, accompanied 20 students to the Central Islip event. The all-expense paid event is compliments of the National Basketball Association. Amato will be available to speak with the media about the competition while practicing at Flower Hill Primary School, located at 98 Flower Hill Road in Halesite, on February 12 between 5 p.m. and 7 p.m. Invitation to Huntington Arts Council's "High Arts Showcase X"
Subject: LongIsland.com - Your Name sent you Article details of "Huntington Teen Qualifies for National Basketball Event"